Heritage Crafts is a world leader in counted cross stitch design. We work with talented artists, including John Clayton, Peter Underhill and Valerie Pfeiffer to produce highly detailed cross stitch designs which are a joy to stitch. 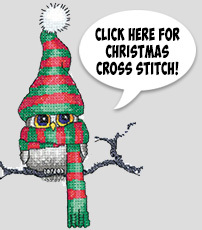 Our cross stitch designs cater for everyone, male and female, from young children and beginners to expert stitchers. Our latest catalogue is featured here, with our complete range of counted cross stitch kits and other products we produce or distribute, including Zweigart® needlework fabrics and Premax Italian needlework scissors. All our cross stitch kits are available from your local needlework stockist or directly from our online store. In case of difficulty please contact us for details of a local stockist who can help you. Alternatively, if you cannot find a suitable stockist, phone Heritage Direct on 01889 585666 during normal office hours. We welcome your interest in our site and invite you to contact us with your comments or questions - drop us a line or give us a call. Follow us on Facebook for news of our very latest designs! [25.02.19] We have lots of new designs to show you, including the latest from John Clayton, Peter Underhill and Karen Carter. 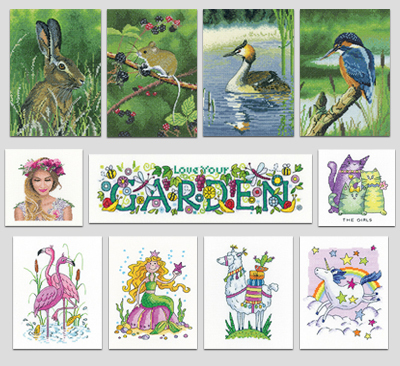 We're also delighted to show you the first four new designs from our new artist, Nigel Artingstall. Click here to see all our latest designs!